I rendered this aspen grove treescape in several formats to suite multiple printing choices including color, monochrome and toned photographs. 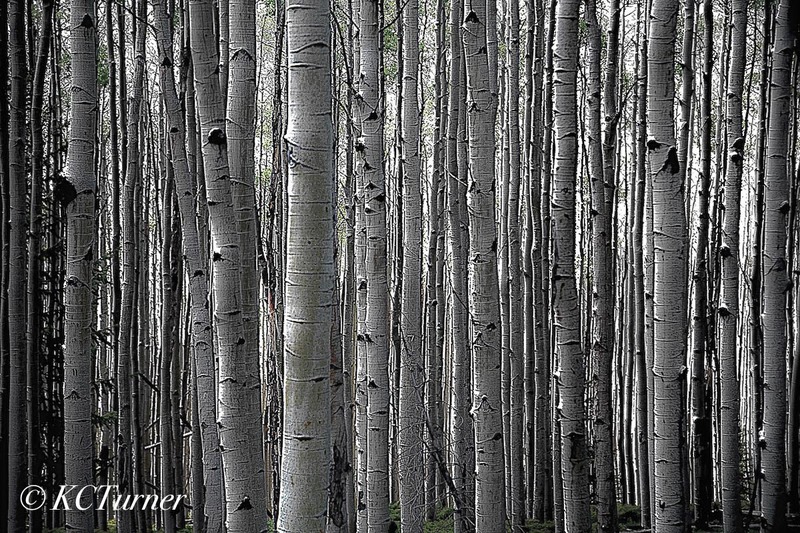 Teaming with rich blacks, whites and silvers Colorado's vast aspen forests offer up endless photographic opportunities for every fine art landscape artist. Photo © copyright by K.C. Turner.